The former director of a liquidated company has successfully appealed the finding that a €300,000 loan made by a man who became a shadow director of the company was a personal loan to him, rather than an investment in the company. 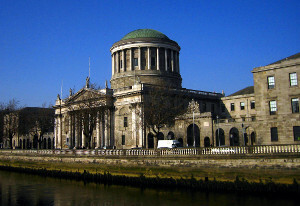 Setting aside the judgment of the High Court and remitting the matter for rehearing, Mr Justice Peter Charleton found that the trial judge erred by failing to give appropriate weight to events subsequent to the transfer of funds in circumstances where the terms of the agreement were in dispute. In July 2008, Damien Stapleton transferred €300,000 to the personal account of Philip Doran, after a meeting in Mr Doran’s home. Mr Doran then transferred that money to Easiwrap Limited, a company of which Mr Doran was the main shareholder and effective managing director. Mr Stapleton submitted that this was a personal loan, however Mr Doran contended that it was part of a larger transaction whereby Mr Stapleton was investing in shares in Easiwrap. The €300,000 loan was an oral contract – hence there was no documentation to support either parties arguments, apart from subsequent recording of events. Between January and July 2009, Mr Stapleton furnished €434,000 as an investment in Easiwrap so that he could assume a major role in Easiwrap and became a shadow director, as defined by s 27(1) of the Companies Act 1990. Easiwrap has since been liquidated, therefore it was not in dispute that the €434,000 could be recovered by Mr Stapleton. Mr Stapleton brought an action against Mr Doran to recover the €300,000 loan. In the High Court in December 2011, Mr Justice Gerard Hogan said there was supporting evidence for the argument that the loan was to the company for the purchase of shares, and also that the loan was a personal loan to Mr Doran. Ultimately, Mr Justice Hogan regarded the evidence as establishing “overwhelmingly” that the transaction was a personal loan. This included contemporaneous memorandums and letters submitted to the court, and witness testimony from people who said Mr Doran had said to them it was a personal loan. It was noted that there was also evidence from various witnesses that the transaction was not a personal loan. Considering the submissions that Mr Stapleton’s deeper involvement in the company after the loan in July 2008 pointed towards it being an investment in Easiwrap, Mr Justice Hogan said that it was clear from the Supreme Court in both Wogans and Bula “that a court cannot have regard to post-contractual events for the purpose of construing the contract” – therefore the events post-dating when the loan was made in July 2008 were “irrelevant for the purposes of the construction of the oral contract”. Mr Justice Hogan held that the €300,000 was furnished as a personal loan. At the outset of his judgment, Mr Justice Charleton said that “since the trial judge had the opportunity of hearing and seeing the witnesses, his decision on issues is final where there was any evidence in reasonable measure to support such findings, and his decision as to any inferences to be drawn from primary facts must be respected” as per Hay v O’Grady  1 IR 210. Mr Justice Charleton said that the judgment must stand unless Mr Justice Hogan “…approached the evidence on a basis that meant that he probably did not construe the relevant testimony in accordance with law”. The problem with the analysis, Mr Justice Charleton said, was that the issue in this case was not the construction of an agreement with clear terms – but rather the case was about the construction of what the terms actually were. Where the terms of the agreement are in dispute, Mr Justice Charleton said that the normal approach to subsequent events cannot be relied on. In cases like the present where the terms were not clear, Mr Justice Charleton said “the subsequent actions of the parties can, and in appropriate cases should, be given all due weight for the purposes of determining what terms were actually agreed in the first place”. It was an error to fail to give appropriate weight to subsequent events in such circumstances. Mr Justice Charleton said that it was possible for the trial judge to arrive at a different view in relation to the issue of whether the loan was made to the company or to Mr Doran personally. “As a result of the trial judge’s interpretation of the law, he constrained his analysis in such a way that relevant events were not taken into consideration as an aid to finding out what the contract actually was”. While stating that he expressed no view as to where the weight of that evidence may have brought the trial judge, Mr Justice Charleton said that the appeal demonstrated an error essential to the proper construction of the facts, set aside the order of the High Court and remitted the matter for rehearing.